Opening on Friday, August 31, a small school in a small community hosts a giant event - the Pomonal Art Exhibition and Festival is a celebration of the diversity, creativity, and undisputable talent of Grampians Artists. 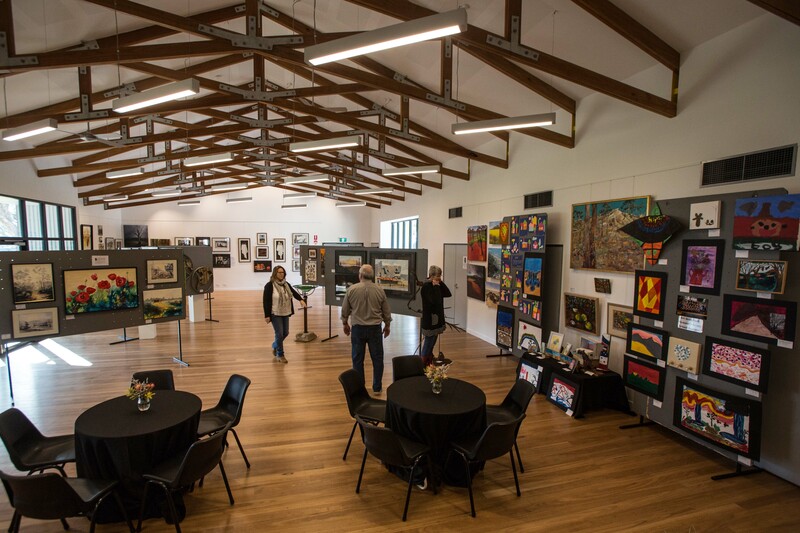 More than 200 individual art works reflecting the diversity, creativity and innovation of local artists: welcome to the Grampians premier collaborative art exhibition, the 28th annual Pomonal Art Exhibition and festival, proudly presented by Pomonal Primary School. 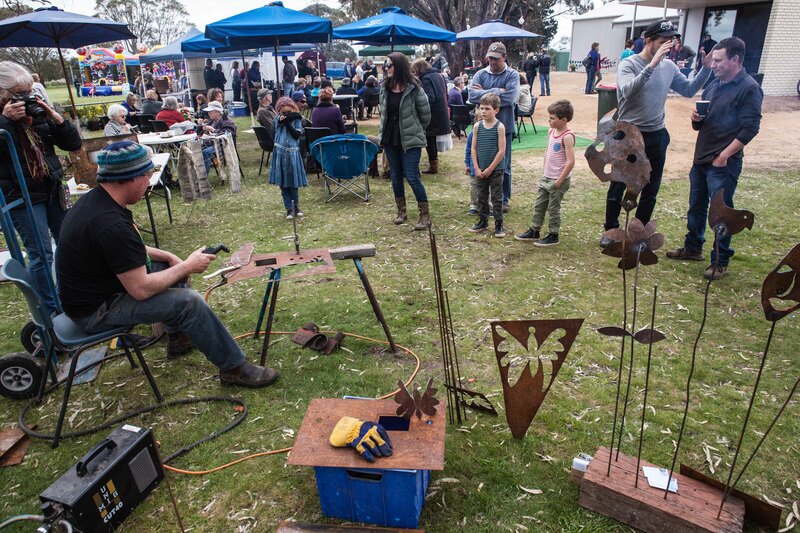 The weekend will feature metal sculptures, hand blown glass-work, textiles, water colours, photography, art work both traditional and contemporary. Hosted in the award-winning Pomonal Hall, nestled amid the rugged grandeur of the Grampians Mountains, the exhibition opens at 6.30pm on Friday, August 31 with the now traditional – and often amusing - auction. In a wonderful display of community support, all items are donated by local businesses to support Pomonal Primary School. Entry for the evening is $10, which includes a buffet super catered by Sarah’s Kitchen (Ararat), with beer and local wines available at bar prices. The feature artists for 2018 are Wayne Dickinson, with his recycled metal sculptures combining local inspiration with fantasy and myth, and similarly locally inspired textile artist Barb Venn. Saturday's exhibition entry is $4, while Sunday – Fathers’ Day - is family festival day with local stalls, food vendors, a coffee van, local wine and beer available and live grooves and tunes from the locally grown Recalcitrants and The Plastic Bags. Free art workshops and demonstrations by Wayne Dickinson and Barb Venn are a delight to children and adults alike and for the kids other activities include jumping castles, fairy floss, hair spraying, face painting, and a visit from Halls Gap Zoo animals. The Pomonal Art Exhibition: a massive effort from a small community in hosting an excellent exhibition of Grampians based artists. All funds go to Pomonal Primary School and help support the school in providing art tuition and materials to the next generation of artists.